This Specials Menu has a narrow design perfect to feature drinks, desserts, or dinner items. 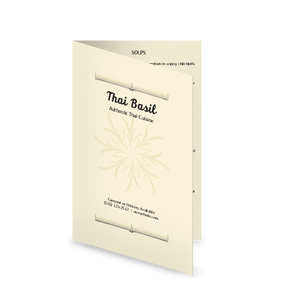 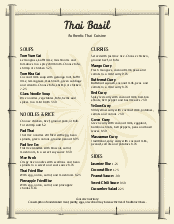 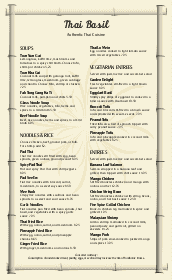 A delicate watermark based on traditional Thai carved fruit appears lightly behind the text in this Thai menu template. 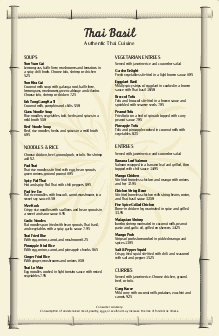 Customize with your specials in the online Menu Editor.